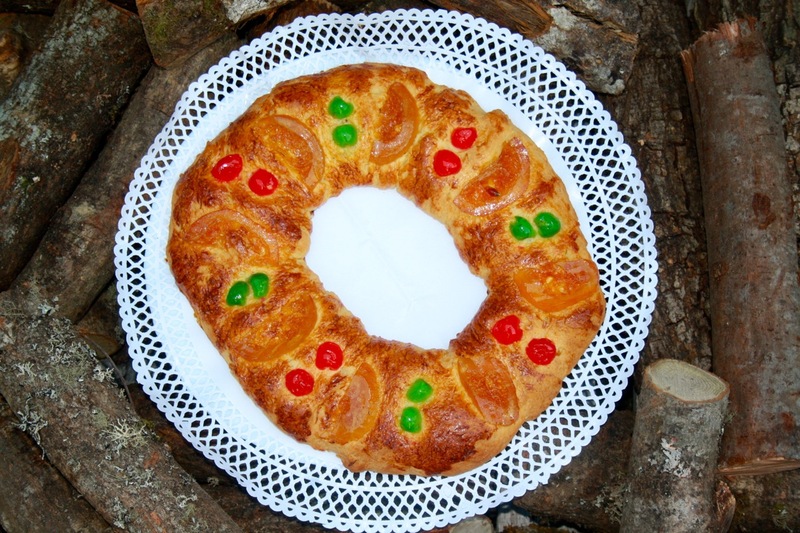 Tomorrow is Epiphany, and breakfast must in most houses of this country is the Kings Roscón, so I think it came time to tell you my recipe. I explain it step by step, as we went by. We start by dissolving the yeast in warm milk. The get into milk and let undone with your fingers until completely dissolved. We let it sit for a few 10 minutes. 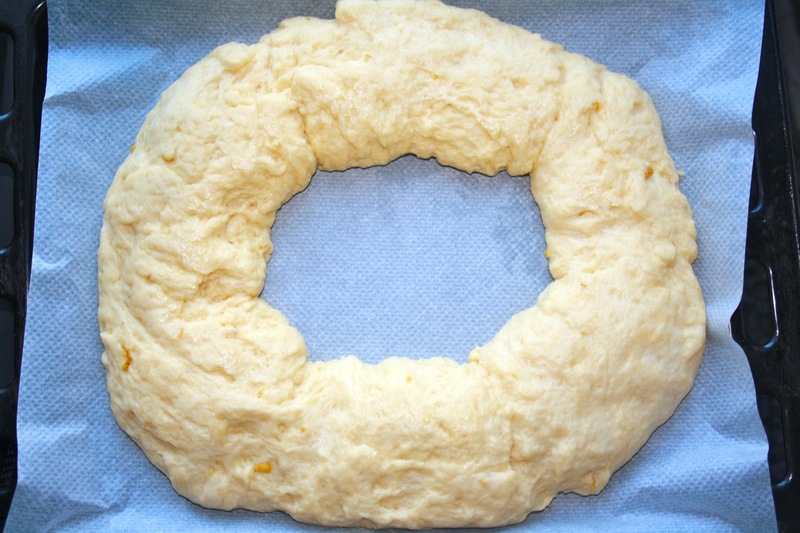 Sift the flour into a bowl and, of it all, aside a 50 gr. for use in the mixing will come next. 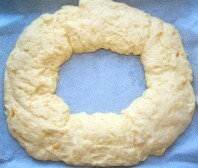 We make a hole in the center where we will take the scratch of citrus, sugar and milk with yeast. With the help of a rubber tongue started to mix the milk with the flour the bottom and around, not incorporate all of the bowl. 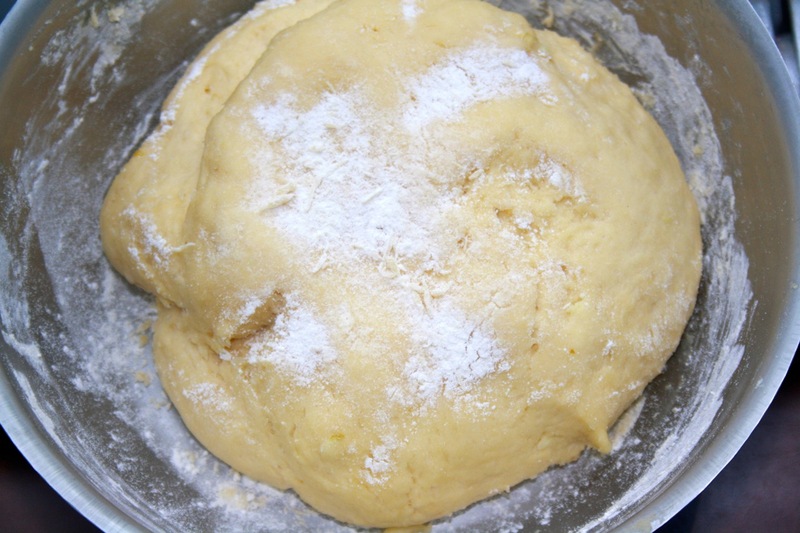 Add butter, the egg, the essence of Azahar, rum and vanilla in the center of the mixture and, back, incorporating mixed with the tab, little by little, all the flour in the bowl. We must reach a point where it has formed a sticky mass somewhat. 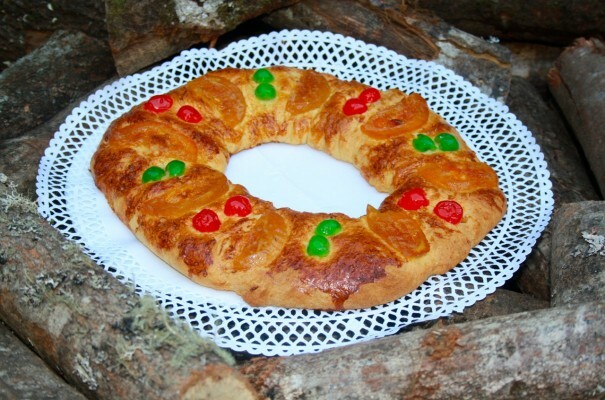 We passed the ball of dough on the table, on which we will have taken a part of the meal we had reserved, and proceed to knead, inpregnando flour our hands also previously. Little by little, as we work the dough, we need to check to be taking off more and more of the surface of the table. 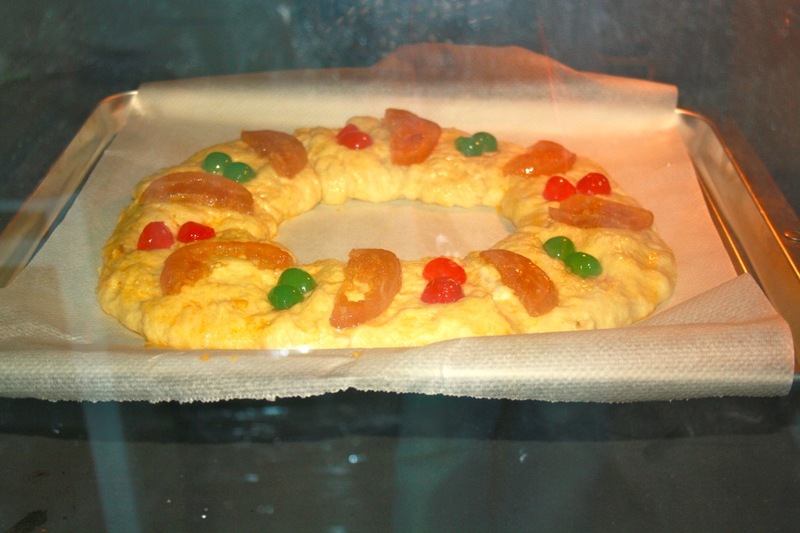 If it is not, We can add some more flour but considering that, the end of mixing, the dough should be slightly sticky yet (otherwise, the little fluffy would roscón). First weighed. 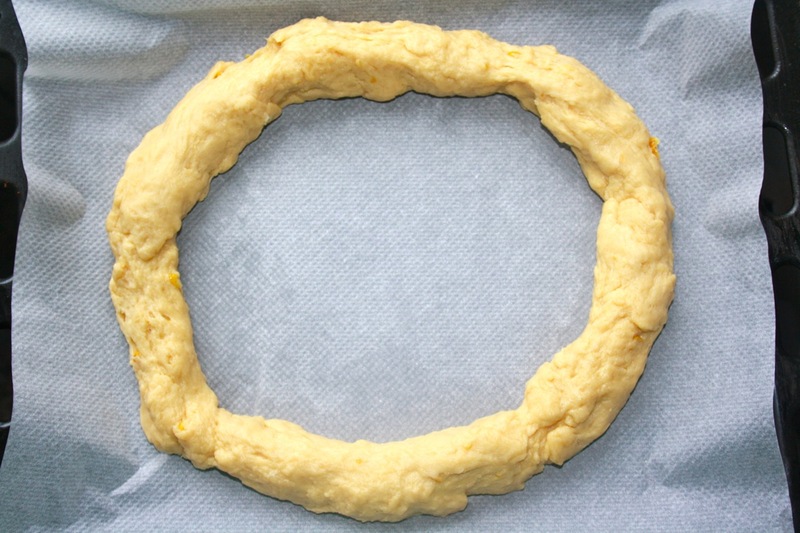 Make a ball with the dough and let rest, in a floured bowl, and covered with a cloth or plastic wrap, until doubled in size at least, some 2-3 hours, in a warm place. This would be the first weighed. In the picture you can see how was the end of this phase, considering that the original ball was less than half of what you see. According taken. 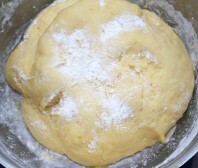 After the first long dwell time, threw the dough on the table and work again to get the air. We will do during 1 minute or. Next, form a ball, we make a hole in the center and we are going to make a fine widening roscón and quite large. 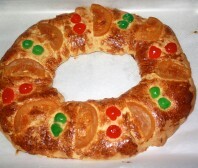 Prepare a baking sheet lined with parchment paper and place the roscón on it. As you can see in the picture this is great, the size of the tray. 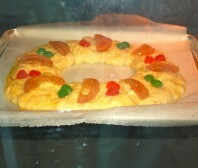 The other cover with parchment paper or cloth and let stand in warm place between 1 and 2 hours, or until doubled in size. 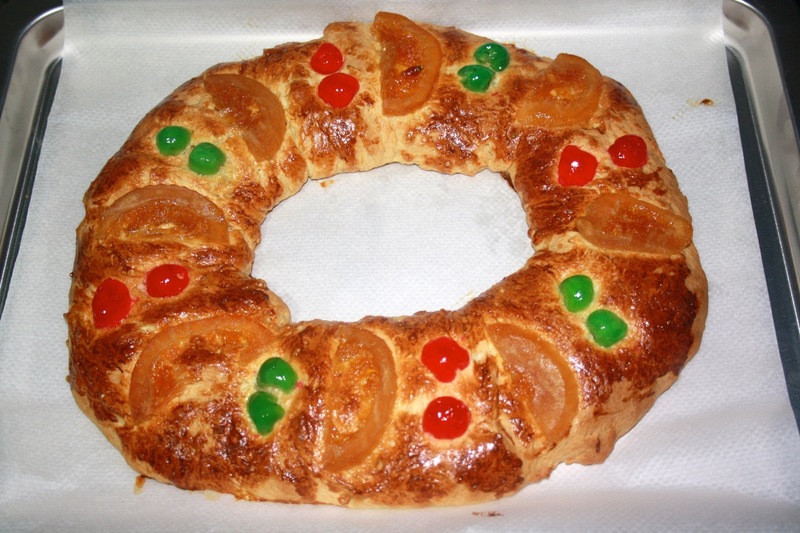 Preheat the oven to 160 º C. Paint with beaten egg roscón surface and decorate with candied fruit and cherries. The bake 25 minutes. 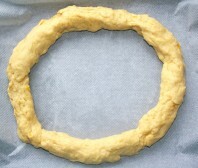 Once you let it cool off before passing it to a tray or cut to fill. You look mortal!! !I've already stolen a piece for coffee! !Beautiful and happy kisses Kings!!! The recipe I was expecting. Thanks Incarnate. Mmmmm, what a good pint!! I loved that photo in phases. I'm now red-handed, rather waiting for upload.. Kisses!! !